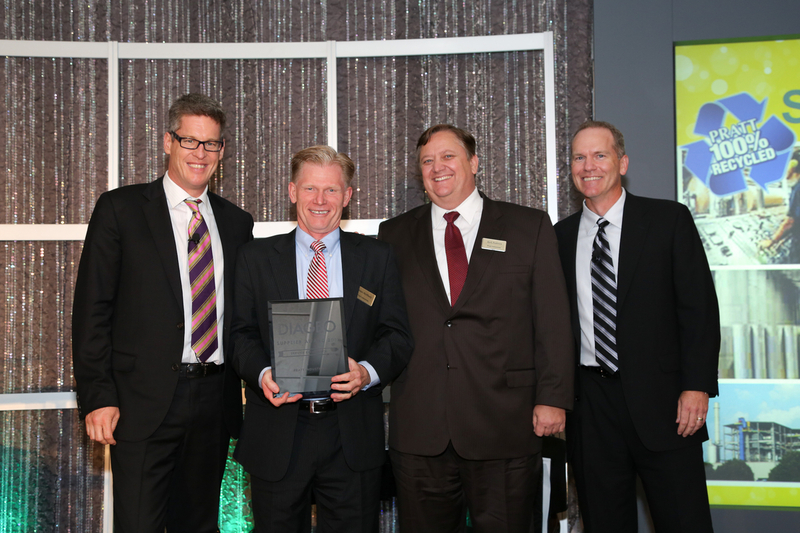 David Cutter, President of Diageo, Americas (far left), and Rick Thielen, Senior Vice President Procurement, flank Pratt CEO Brian McPheely and Rick Anderson, Pratt Strategic Accounts, at the recent awards ceremony. 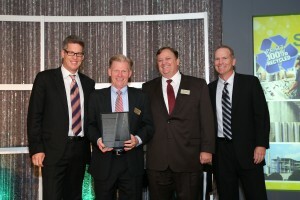 Last year, Pratt Industries won Diageo’s Supplier of the Year Award, and was nominated for the honor again this year. Overall, Pratt was nominated for three awards this year: Supplier of the Year, Excellence in Collaboration and Service Excellence. Only two other companies were finalists in as many categories at the recent event in Norwalk, CT., where Diageo is based in the USA.